Because some of these meetings are healthy and beneficial. 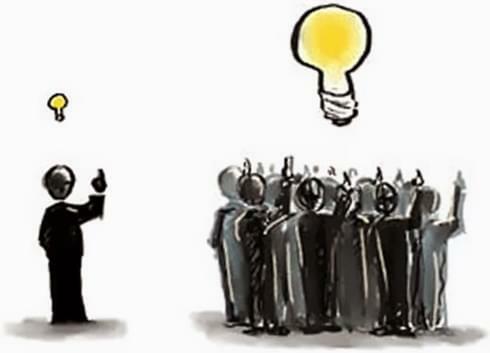 Others are just a circus of minefields, agendas, fear, anger and soapboxes. None of which I have any interest in. I will know tomorrow night at the event whether or not I made a wise decision regarding being a part of this event. It seems that there are two main ways many people are coming at this "gun violence in schools" issue. 1) This group believes that we need to restrict or ban guns so that dangerous people can't have access to them. I call these people the "It Takes a Village". The "It Takes a Village" perspective believes that we as a society shouldn't have the need for the citizens to have access to weapons personally, because "the Tribe" (Society: a.k.a. police and/or military) should / will protect you. So there is no need for the citizens to have such weapon(s). The availability of weapons either makes the problem worse or possibly creates the problem all together. 2) They think that we need more individual freedom and power to protect ourselves. This group feels that there are always going to be people doing bad things and the way to solve the issue is to allow / encourage more citizens to protect themselves. They want less organizational control and want the means to "Do It Themselves" so to speak. One side believes that Less or No Guns will solve the issue, because we are able to fix society enough so we won't need them. The other side believes that More armed people and continued access to guns is the way to go to address the situation. Because society will always have people who you will have to defend yourself from (sometimes even the government). I know. I know. I'm Over Simplifying It! But, it does help people to understand the basic premise of the conservative v. liberal leanings. So, Which One Is Right?!! I don't think either one perspective is completely right. As usual I think the answer lays somewhere in the middle between the two. I think we need a Peaceful Well Protected Village that is made up of independent, powerful Do It Yourselfers! "All the freedom possible with all of the security necessary." "It's hard to be peaceful in a violent community." I believe that we need to strive to make our society as open, loving and safe as we can while preserving individual rights of life, liberty, freedom to the pursuit of happiness. A difficult balance for sure. My main point is for us not to lose focus on what we are trying to accomplish. To protect the people in our school. Protect the kids, teachers, staff and visitors from acts of violence. I know we have different opinions and approaches to accomplish this, and let’s go ahead and discuss, stand up for, vote, advocate and fight for those opinions. But not at the expense of losing sight of our common goal. That is what we have in common... Let's not forget it! Yesterday, I recorded another facebook LIVE on our PeaceWalker Community Group Page. I'm happy to say that this time it went well! If you're bummed that you didn't catch me LIVE, don't worry, I'll be doing more short trainings like that soon! I'll let you know when, so you can jump in! Well, I'll talk to you later! I hope you are able to take advantage of this awesome day!! I wasn't really trying to be, I just didn't think the situation was that big of a deal. However, I didn't consider what the other person had into it! The result was hurt feelings, that could probably have avoided had I been thinking more about how the other person would feel about it. EVEN When YOU Think It's NOT a Big Deal, The OTHER Person MIGHT!! Join me and other PeaceWalkers on our Facebook Group - PeaceWalker Community. 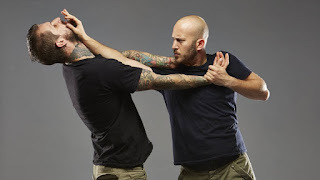 Why Your Krav Maga Isn't Enough! No, that bald guy isn't me... However there is a 'striking' resemblance! In today's day and age being able to physically defend yourself is a good start, but it isn't enough!! You have to have more social skills! I know that may be difficult to believe in an age where we don't seem to interact face to face very well at all! However, believe it or not, the way we socially interact has become much more complicated. Yep, I'd get a solid hand across my rear end. No long drawn out, drama filled interactions. So, what happened when I got older? Well, first off, by that time I was conditioned to show respect and do as I was asked, so that took care of most things. Yep, the old bar of soap in the mouth trick... followed by being grounded! I remember the ONE TIME I lost it and called my mom a b*tch (yea, not proud of that one... but hey, I was 15...). Immediately after the sting, I thought 'Oh, sh*t what did I just do!?! I hope she doesn't tell dad, because if she does... My @$$ is grass (as they used to say...)! Now keep in mind that even at 15, I towered over my mom by almost a foot! Did I say, I knew that I was wrong even as I uttered that blasphemous word!? Shortly after the altercation and my emotional state subsided, the feelings of remorse and shame came over me. I lost it and calling my mom something like that wasn’t right. Luckily for me... she never did tell my dad! ...for the record I was not beaten as a child (at least not by my parents). I had a great childhood. My parents were (are) wonderful. They never hit me without cause, nor did they go too far (which I know isn't always the case with every parent out there.). But, I knew clearly where the line was... and what happened when I crossed it. Even with all with the problems my brother had, and his violent, off the hook behavior, he knew at a visceral level never to lay a hand on mom. He knew what dad would do to him if he dared! We had a healthy respect for both our parents. We knew that they were fair, but firm and when they had to bring the disciplinary hammer down, we deserved what was coming. I know that I was blessed with ethical parents who loved me and knew how to separate discipline from just violence. The ole' 1-2-3 doesn't work that way today! You have to more socially savvy... That means you have to have a different skill set than just learning how to hit and kick. (3) Have More Strategy... Way more! Because if you can't keep your cool and control your emotions, then you will not be able to control your actions and that will prevent you from acting in the more sophisticated way necessary to effectively manage the full spectrum of conflict. Effective COMMUNICATION will largely be verbal (or written), supported by body language and facial expressions, and of course actions that reinforce what you say. Yes, you have to understand the key elements of Controlling the Engagement. Control the battlefield so to speak. Learning how to control the space around an individual (and situation) is not an easy skill to learn. It takes time and persistence to develop the right perspective... To focus on the right things! The right type of instruction and instructors! Try reading Miyomoto Mushashi's Book of Five Rings and squeezing out the lessons... You may need someone to help you decipher Mushashi's words before you have any real chance at applying it in any type of a real situation! So, What Are You Doing to Hone Your Skills? Maybe you practice your Krav Maga or Physical Martial Arts Skills every week? What are you doing to learn and hone your skills at Conflict Communications and Strategy? If you aren't reading books on keeping your cool, verbal communication and how to think strategically, why not start!? Although there are many books I could recommend, here are three that come to mind regarding our subject(s) today. They're useful reads to get you going or keep you going on your PeaceWalker Path! Reactionary Gap... Is Closer Safer? 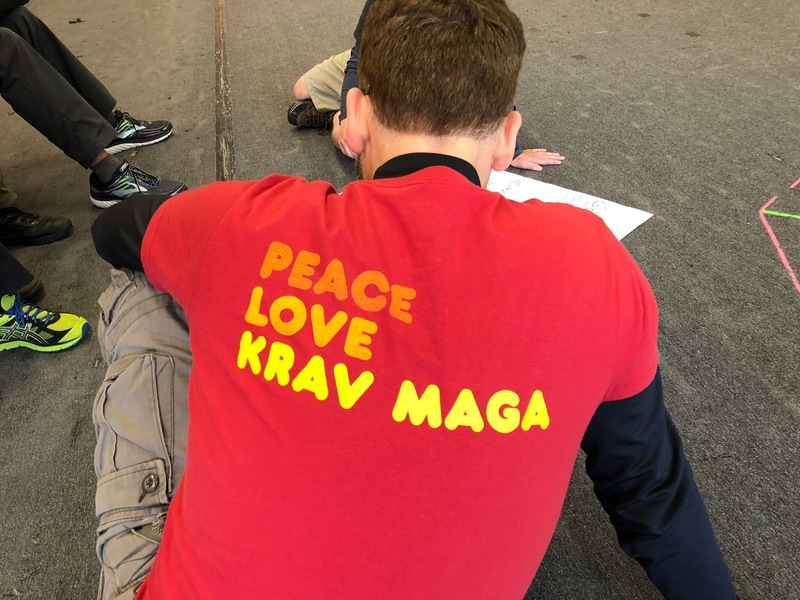 Jeff rocking out his new Krav shirt he got at last weekend's 2.25 Crash Course! Yesterday, I almost took a pic of me in my shorts, flip flops and Bahamas Hard Rock Cafe' t-shirt. Because it was sunny here and going up to 80! ...And although today is rainy, it's still warm! As if things couldn't get better after this weekend's Krav Maga Assault Prevention & Response 'Crash Course'! People came from all over to train here in GR w/us. Winnipeg, Canada, Texas, Upper State Michigan, and of course locally. We had a pretty full house of folks who were looking to be introduced to or hone their skills as PeaceWalkers! Not only did we work on ways of protecting ourselves physically, we also explored awareness skills, and some of the simple 'practical' psychology of how aggressors choose the environment and their targets when it comes to violence and crime. We also looked at their method of engagement of how they carry out their assaults. Overall everyone seemed to have a great time learning, connecting and re-calibrating their PeaceWalker Skills and Identity! Don't Worry... But You Better Hurry! We video recorded the entire seminar! I'll be posting part 1 up on www.peacewalker.net later this week! I'll post each of the other parts as we complete the editing and uploaded process to get them on the site! Yes, that's right, all 5+ hours of Krav Ma-Rock'n Video Content!! 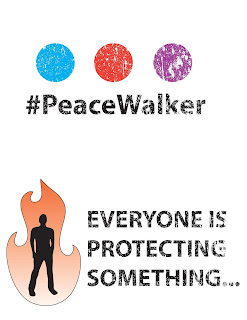 In order to see it, you have to be a peacewalker.net member! Because New Registration is Closing Next Week! Rather then just writing what these things are, you can click on each of the links to my Youtube channel to SEE a short video clip that talks about each strategy. And we all know that the better we can control time the better chance we have at managing violence. We think things like the (in)famous Reactionary Gap (which is between 21' to 29' depending on what research you are going from). An officer with his pistol holstered (open carry, external holster. Retention service holster?? Not sure...) is 21' away from a knife wielding attacker who begins running at full tilt toward the officer. The officer attempts to draw his weapon and shoot the assailant rushing in. The research shows that in this scenario you need approximately 21' (to 29' feet) to draw your weapon, fire and disable the threat. Any closer and the officer typically gets stabbed with the knife. So from that famous study the legend of the reactionary gap began and still exists to this day. Sometimes being CLOSER to the threat can give you the advantage to control the engagement more effectively! You know, the thing that people are put in so they don't hurt themselves or others when they are emotionally out of control and being violent. Is a straight jacket more effective if it is tight or loose? If it is loose. it gives the person being restrained the chance (and momentum) to break free. So, in this case closer is better. But only if you know how to place your arms, legs and body in the right spot to 'Check the Space' so when they move, you (a) have something in place to impede their action and (b) are in a position to 'smother' their efforts... In essence 'beating them to the punch' so to speak. However in this example I may be forced to compress / collapse the space and in this case by positioning myself in a very particular way, So I could collapse the attackers space more quickly and effectively when they become aggressive, because of my close proximity. Even when reacting to his initial movement, I can still 'beat him to the punch' so to speak. Thus making closer safer this time! Tactical space is not just physical. It's emotional, psychological, verbal, social, (and MORE!). 'Keep your friends closer and your enemies closer." However, let's just look at one way that will illustrate my point of closer sometimes being safer. If my enemies are close to me I should have better intel as to what they are up to, which can help keep me safe, by knowing what their plans are, so I can prepare for them and not be taken off guard. If I was more distant from my adversaries I wouldn't know what they are up to and may be taken by surprise, putting me in more jeopardy. This is one way of staying safer by being closer. 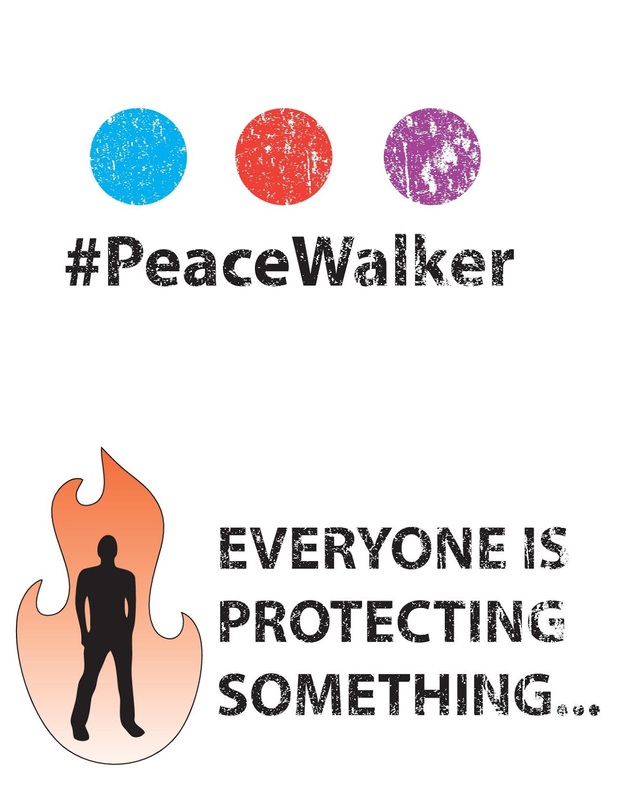 If you want to understand how to better protect yourself and control the 'Tactical Space' of conflict then don't miss your chance to join us on PeaceWalker.net! Along with all of the Courses, MasterClasses, Tips, Tricks & Tactics, you'll ALSO get access to the entire 5+ hours of training videos from our last Krav Maga Assault Prevention & Response 2.25 'Crash Course'!! The dots w/hashtag is going on front and the logo w/the saying is going on back. We're still making more than a few cool changes, but here's the direction it's going. These shirts are ONLY going out to the 30 or so people who were first on board w/PeaceWalker.net (you know who you are!). We are creating some REALLY COOL SWAG for everyone to enjoy! Have a great week and I'll see you soon! !